One of the coziest places at home is the backyard. Putting wireless speakers in your backyard is pretty much the best way to enjoy music that you love. Some say that music adds color to your life, so whenever you can incorporate music into your outdoor time it’s always fun and more colorful! It’s also an excellent way to share your favorite music with family and friends. There are several brands of wireless speakers for the patio. However, we’ve rounded up some of the best outdoor speakers that can sit still in your backyard. These outdoor speakers excel in audio performance and battery life. We also checked their Bluetooth range and other cool features (e.g., waterproof). We’ve also taken into consideration their sizes and designs. Enjoy the random list! 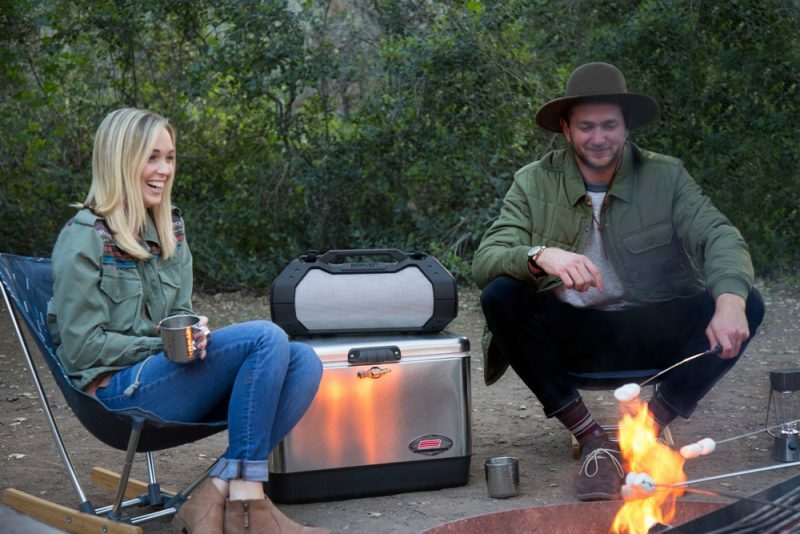 You can hold any outdoor activities and invite some good old friends to chill with you with Braven’s BRV-HD. With two stereo drivers, you and your friends will enjoy your music picks without a doubt. Opting for hip-hop or R&B songs, this speaker has two passive radiators to give you a booming yet not overpowering bass. It has an excellent 28-hour battery life. You can chill the entire day in your backyard. Pair your devices wirelessly with its Bluetooth connection, or you can plug the 3.5mm cable into its input. It also has a built-in microphone with a noise-cancelling feature for hands-free calls. 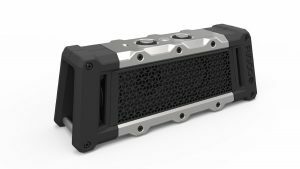 With its IPX3 weatherproof rating, aircraft-grade aluminum grill and shockproof interior, this Bluetooth speaker can withstand the outdoor environment any time of the year. The FUGOO Tough is made to be tougher than the word itself. Don’t mistake its small size for a limited sound because despite its size it delivers big sound. You can host barbecue parties in your backyard or carry it around in other outdoor activities. The design helps spread out the music. It has speakers on all four sides. The separate woofers, passive radiators, and tweeters produce well-proportioned music details with not so overpowering bass. It has a speakerphone for clear hands-free calls. You can also activate Google Now and Siri by holding down the small center button. If you want to have long-lasting wireless speakers, then the FUGOO Tough is for you. In an average volume (about 50%), it can last up to 40 hours. It also has a promising durable build. The IPX67 rating shows that this speaker is shockproof, dustproof, and waterproof. In fact, you can conveniently submerge up to 3 feet water for 30 minutes. Pair it up with your Bluetooth-enabled devices or use it wired with a 3.5mm stereo cable. The Monster BTW249 is a wireless speaker perfect for indoors and outdoors. Powered with 40-watt speakers, it’ll give you an explosive music experience. They have filled the speakers with two 3-inch full-range drivers. You and your friends can enjoy fresh music from every angle with its 360 degrees sound design. 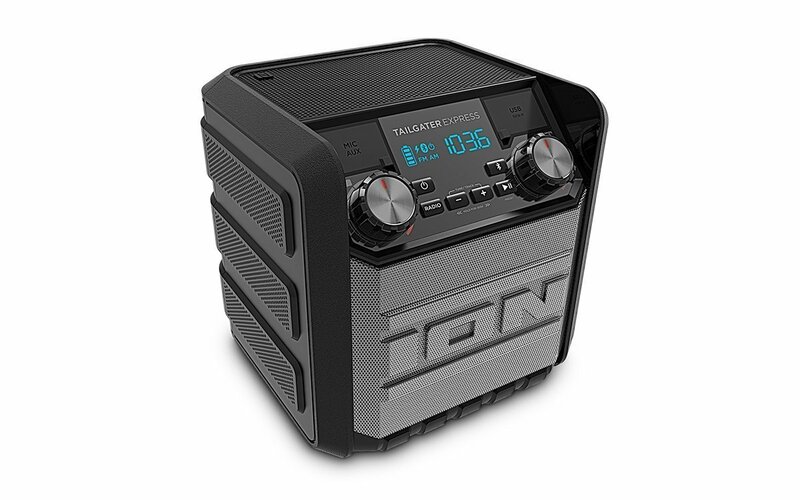 It’s expandable up to 8 speakers via E-Z Play technology. With Bluetooth, NFC and E-Z Play technologies, you can stream your music freely from any Bluetooth-enabled device. In open areas, you can enjoy a 100ft connectivity range between each speaker. Designed to withstand any weather, the Monster BTW249 is water and moisture resistant but not to be submerged for a longer time. If you want, you can mount them on the wall. 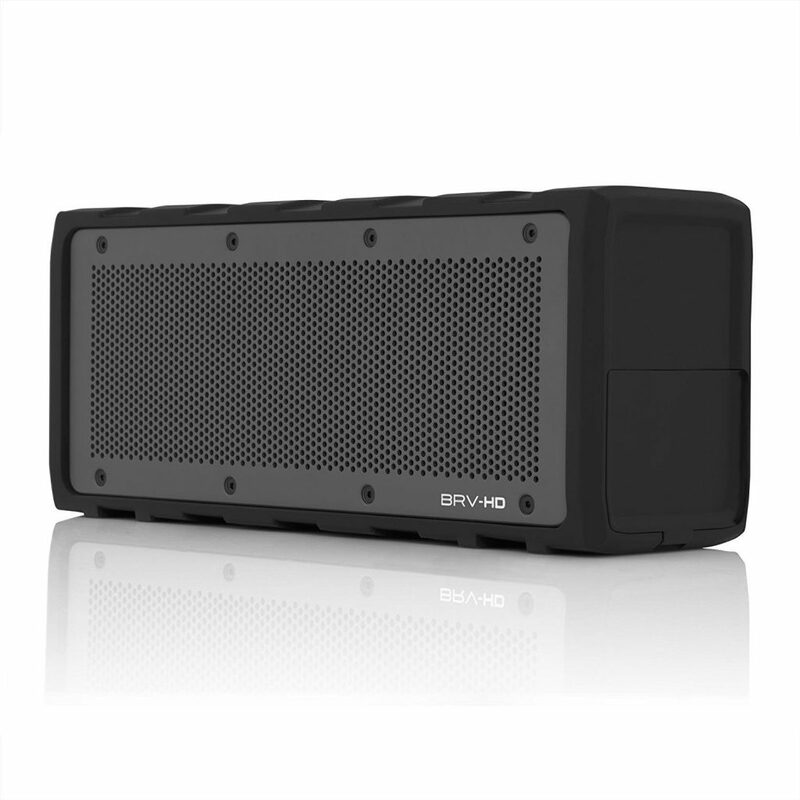 The Braven BRV-XXL is a large wireless speaker that delivers big and loud audio quality. I bet you have to apologize to your neighbors after the backyard gathering. Armed with quadruple HD audio drivers and a powerful subwoofer, the bass can shake the ground. You can personally customize the sound since it has an EQ setting with bass and treble controls. Have a continuous 14-hour playtime with its 15,600mAh battery. It can also serve as a power source for your phones. 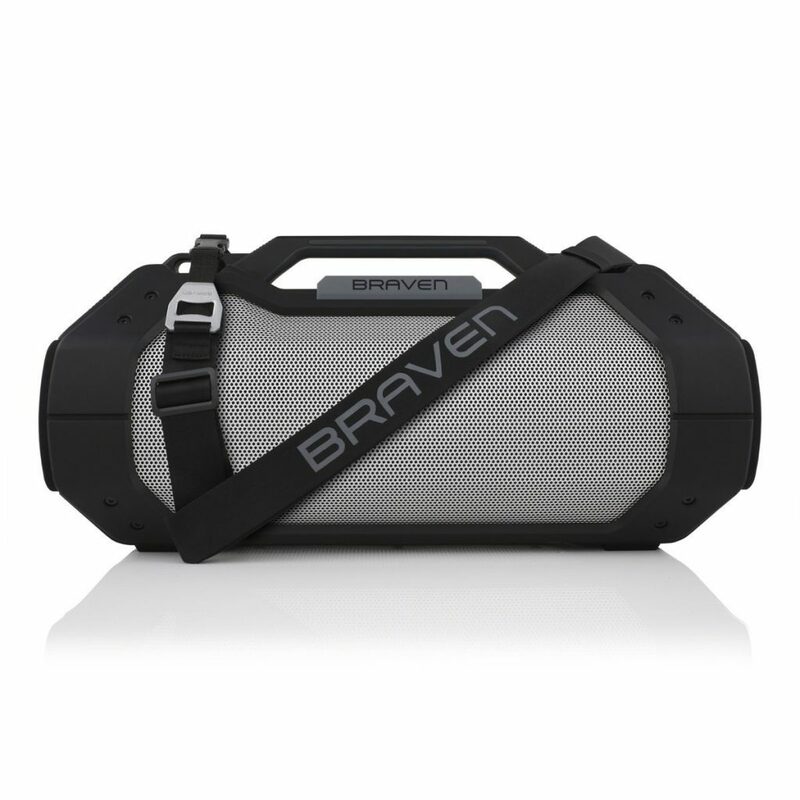 Rain or shine, the Braven BRV-XXL is sure to play through. It’s designed to be shock, dust and sand resistant. The IPX5 waterproof rating resists any sprinkle of water or moisture. 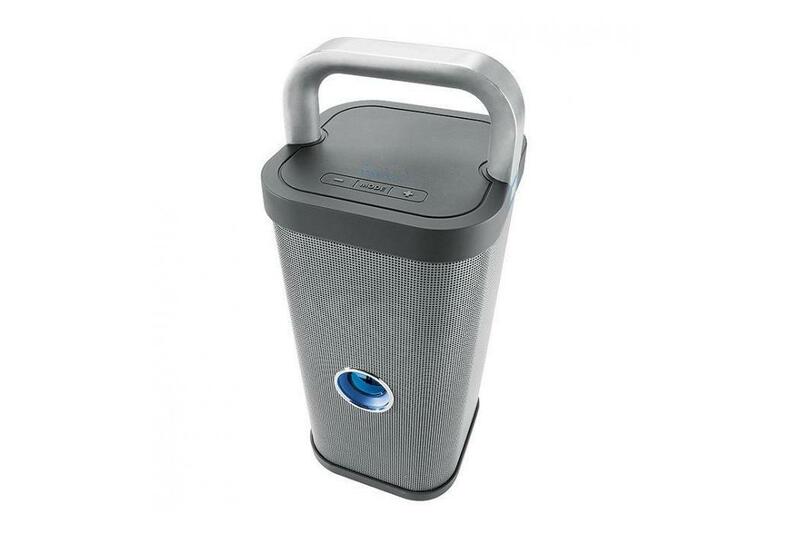 You can freely host your parties with this speaker since it has a built-in microphone jack. Pair your Bluetooth devices with its 33ft-ranged Bluetooth technology. Have a non-Bluetooth device? It has a 3.5mm input where you can plug 3.5mm jack stereo cables from the instrument to the speaker. 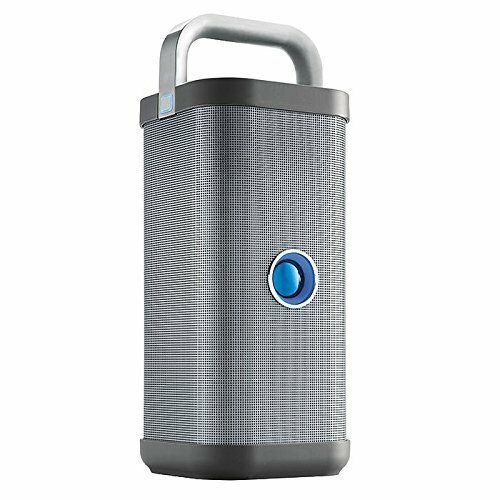 If you’re thinking of setting up any party in your backyard, the Brookstone Big Blue Party Bluetooth Speaker might be your perfect partner. Its four dynamic angled speaker drivers in different perspectives produce 360 degrees crisp sound. The subwoofer and passive radiator help create a thundering bass response so that you can enjoy your party music. It’s top-mounted with controls for volume and bass/treble. Rechargeable battery lasts for 4.5 to 5 hours on a single full charge. Instant wireless pairing is available through Bluetooth and NFC technology. You can connect Bluetooth devices up to 33 feet maximum distance. Connect non-Bluetooth devices through the 3.5mm input and 3.5mm cable. Don’t worry if it gets accidentally spilled with drinks. It’s designed to be water resistant. 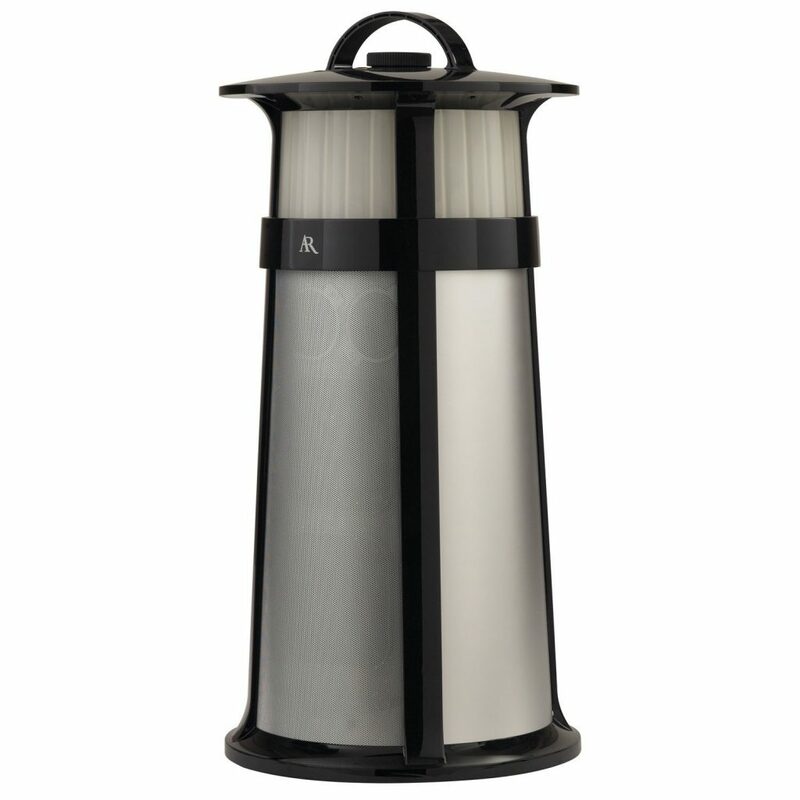 The speaker is available in gray and light gray colors. With a four-star rating and a best-seller tag on Amazon, this wireless speaker might be one of the best in the market. For only under $100 price, it’ll be a great addition to your outdoor chilling sessions. Its excellent sound quality comes from its robust subwoofer and wide-spreading tweeters. You can conveniently stream your music through Bluetooth and NFC connection. There’s a provided 1/8-inch (3.5mm) aux input for non-Bluetooth devices. You can also opt to enjoy music from your local radio stations since it has a built-in AM/FM radio. There’s also a microphone input in case there’s a need to MC or announce anything. The IPX4 rating ensures the speaker to be safe even when sprinkled with water. Enjoy continuous 30 hours of playback time. In case your battery drains, there’s a USB port in the speaker where you can charge it. The Acoustic Research Hatteras Northern Lights is an indoor/outdoor speaker perfect for chill-out times. 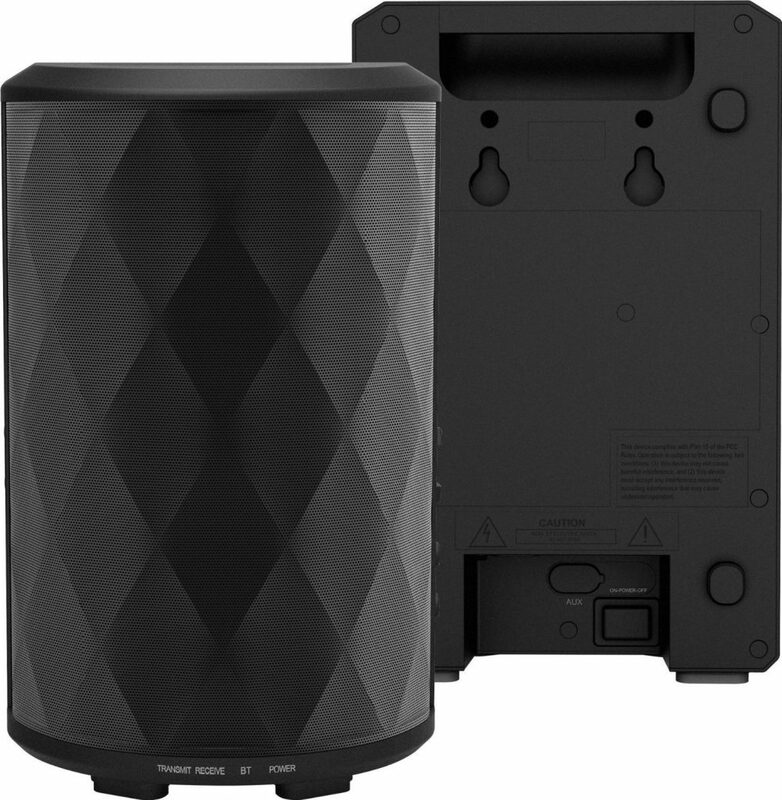 It delivers authentic stereo sound in a 2-foot tall tower system. The integrated passive radiator and subwoofer offer stronger and clearer bass response. With the Bluetooth connection, you can seamlessly play music from your phone or tablet. The AUX input is for wired connection between the audio source and the speaker. If you’re having a party or you enjoy lights, it has six modes of 360-degrees LED light. Choose from Breathe, Pulse, Solid Color, Party, Race or Dance light modes. It’s weatherproof and has an included cover to provide extra protection. This rocking speaker can surely rock your backyard. 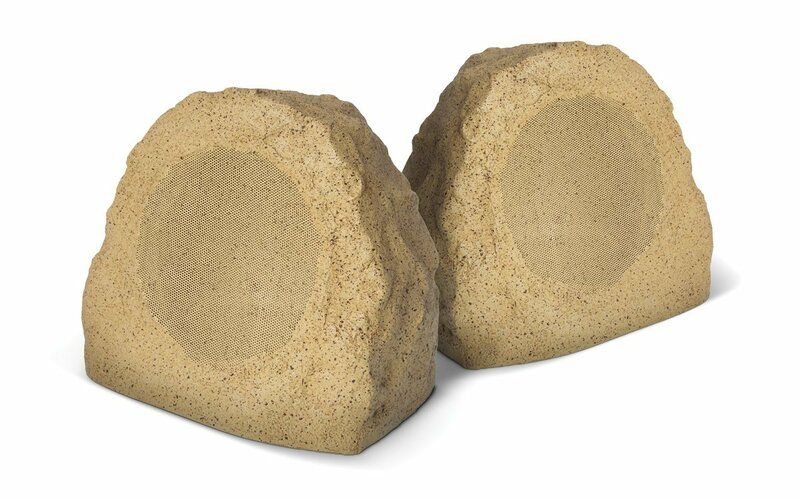 This rock-inspired speaker can effortlessly blend with your garden’s surroundings. It contains a wide-spreading driver that produces digital sound, and its 20-watt amplifier delivers clear audio quality. Enjoy some wireless music time no matter what you’re doing by pairing your audio source and the speaker through Bluetooth. The Bluetooth range is up to 50 feet. It’s a compact speaker that can give an incredible sound quality with its booming bass. 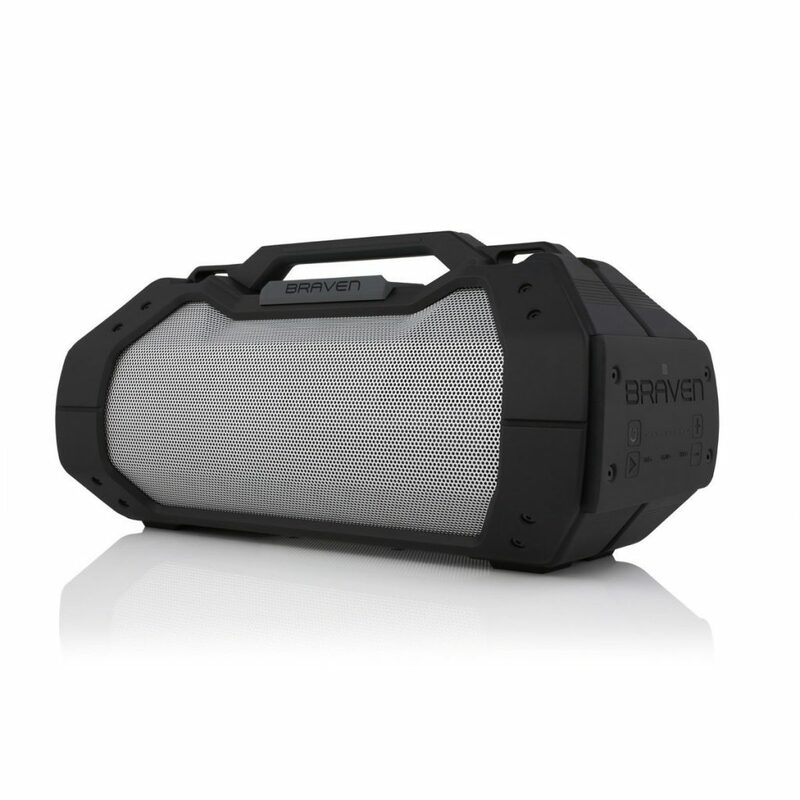 You can even carry it anywhere without worry since they powered these speakers with a rechargeable battery that lasts up to 48 hours. The IPX level 4 guarantees it to be safe from all the water/moisture outdoors. The Anker Premium Bluetooth speaker can help you enjoy music outdoors with its astounding stereo sound. They achieved the booming bass with the MaxxBass Technology and two subwoofers. You can stream music wirelessly with its Bluetooth 4.0 with up to 33 feet maximum distance. This compact-sized speaker lasts up to 8 hours of playback time, but it depends on your volume level and tracks playing. It’s easier to carry around your patio or inside your house since it has a compact size. 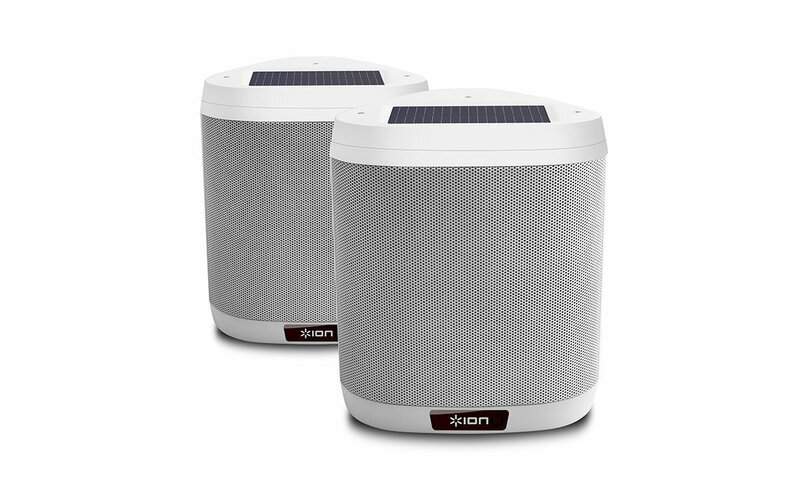 If you’re looking for wireless speakers that doesn’t take much of your electricity, the ION Audio Keystone is the one for you. Aside from delivering an incredible audio quality that’ll rock your backyard, it also has an embedded solar panel. When the battery runs out, you can choose to charge it by AC (takes 8 hours) or by the solar panel (takes 120 hours). The Bluetooth connection is available for wireless streaming. You can let it stand in your backyard or mount it on a wall. Don’t worry about splashes of water or rain while outdoors, it has an IPX4 water-resistant rating. Feel free to check more about the listed products full specifications. It can help you choose the best wireless speaker for your backyard sessions.